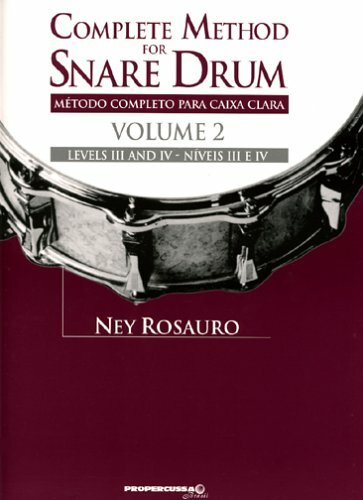 Segundo volume do método de caixa clara de Ney Rosauro, niveis 3 e 4. Complete Method for Snare Drum is a refreshing and comprehensive new approach to teaching the snare drum. Presented in a step-by-step approach, the method gives a complete overview of the rhythmical and musical aspects of the instrument while focusing on both hands with equal emphasis.